Day by day, the diary of a photography travel around Europe in a Hot Balloon. 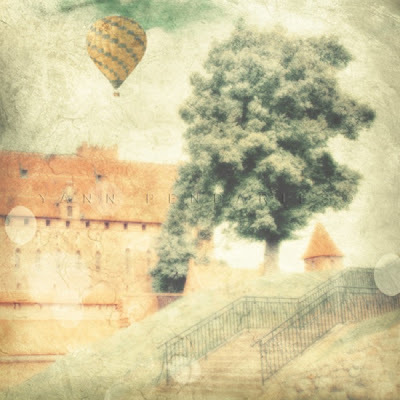 Here I am , blown towards the south of Gdansk, above the castle of Marlbork, the biggest gothic fortress in Europe. In 1274, Marlbork had the monopole of amber trade. Aphiles Poland, Marlbork, 10:35 am"
I love old buildings. Beautiful photograph--it looks like something out of a fairy tale. Let me introduce myself. My name is Aphiles. where I will follow the winds. storms - which I quite fear. that all will go well. of nature will be my company. This trip is fictional, used as a basis to present photographies I took around Europe. All resemblance between Aphiles and an existing person is purely coincidental.